Part of the campaign encourages Starbucks customers to post a selfie with their cup and #LattesForLife sicker! 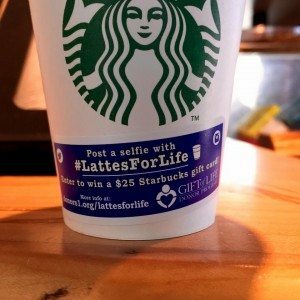 Follow Gift of Life on Twitter here. 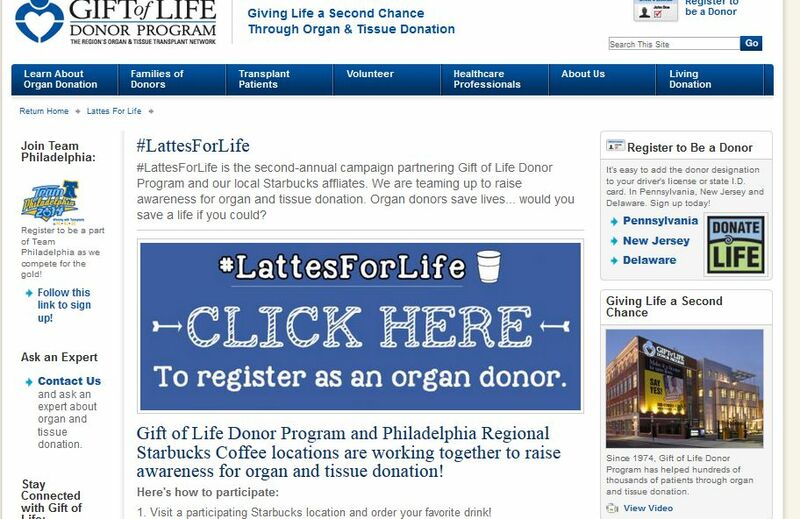 Thought I’d pass on the news of this great partnership: If you’re not an organ donor, register! This is fantastic. 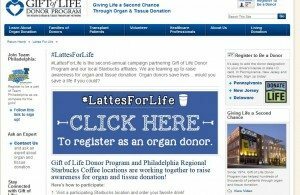 I am an organ donor, and on the bone marrow registry. I agree! 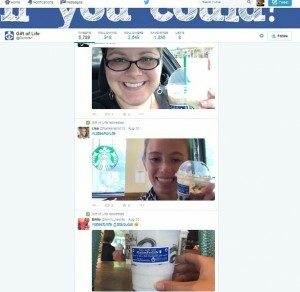 I think it would be fun to see this campaign broader than just the Philadelphia area stores!